The Mariana Trench is the deepest spot in the ocean—and it’s home to some strange sights, sounds, and creatures. But there’s one thing down there that’s very familiar: a whole bunch of garbage. Researchers from the University of Aberdeen presented their early findings of the first measurements of pollutants in the trench at Shanghai’s deep-sea exploration conference. Nature got an early look at the data there—and reported with some surprise that high-levels of pollutants, especially PCBs, were already floating around down there—and being eaten by the life. In fact, not only were PCBs present, they were there at higher levels than seen in many rivers and coastal waters. At over 36,000-feet deep, the Mariana Trench is one of the most remote—and mysterious—places on Earth. 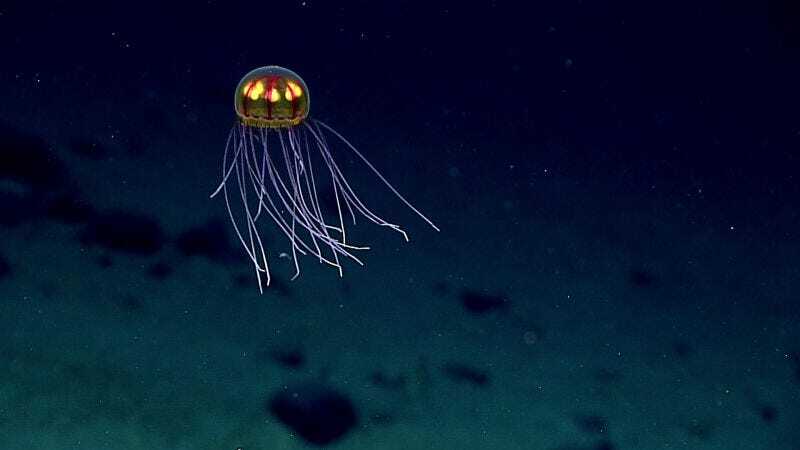 We’ve only just begun to get a look at the unusual ocean life living down there, and what we’ve seen so far seems utterly alien. That makes finding out that is already heavily polluted all the more disappointing. Earlier this month, the University of Oxford finally gave up on its quest to find a single still pristine spot anywhere on this Earth, saying that it simply didn’t believe one existed anymore. It looks like, even 36,000 feet below the seas, they were right.